Where do you have lunch or dinner when in Davos after conquering the ski slopes or paneling on the World Economic Forum? 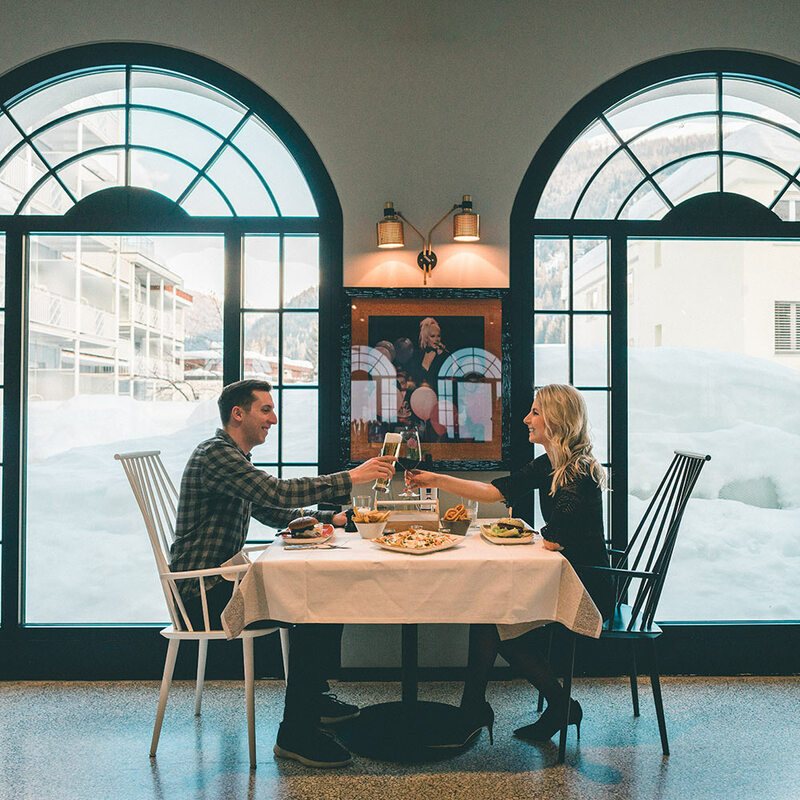 From a five star dining experience to a legendary moment surrounded by “our stars” @HRHDavos, our alpine destination has it all. Chef Florian Noack and his team rock around the Hard Rock stove, serving international dishes and classics with a twist in Sessions. Want to eat and greet with some fellow guests? Then pull up a chair at our Community Table. A romantic dinner with that special someone? The candlelight will flicker just for you at our elegant table-for-two in the restaurant area. Want to wine and dine with friends? Then take yourselves off to the Sessions lounge with its open hearth. Supper is Ready! It stands to mention, that meat dishes are the jewel in the crown of the Sessions’s cuisine. Beef consome and rack of swiss lamb along with pepper or martini sauces won’t leave you cold! This extravagant restaurant is an integral part of the newly opened Hard Rock Hotel Davos as well as a modern Rock Spa® & beauty centre and, of course, branded residential complex comprising 31 exquisitely planned, fully furnished apartments, which offer a perfect balance of homely comfort with modern functionality, chic style and the legendary Hard Rock vibe. But the enchantment of the Sessions looks beyond the wide range of fine dishes. The atmosphere of lovely evenings and sweet-tempered breakfasts is created thanks to the spacing of the restaurant. The Sessions restaurant is divided in three areas by style. 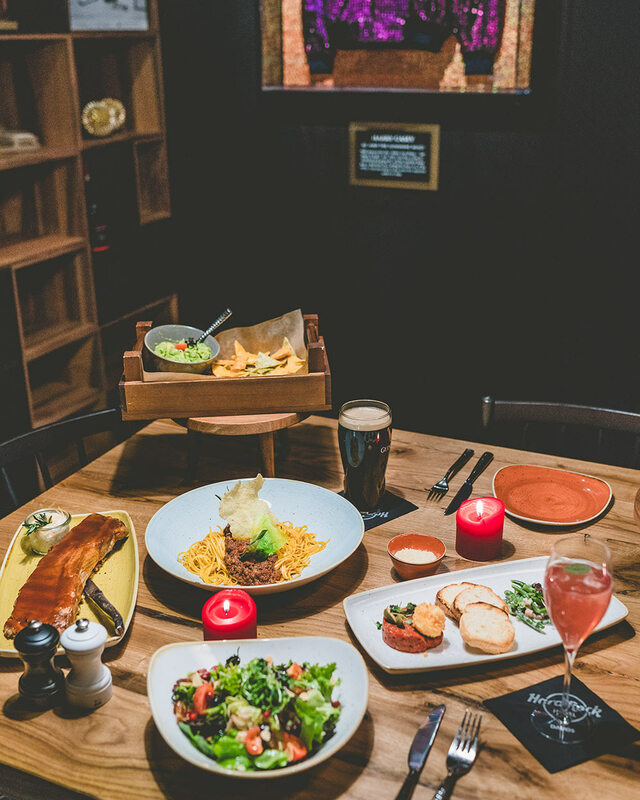 The visitors are to choose from the dining by the fireplace, relaxed lounge style seating and intimate dinner for two in traditional seating area. There is also a nice terrace in the restaurant and there are blankets and fire pits for the cool Davos mornings and evenings. Located on the first floor of the famous Hard Rock Hotel and designed by the world-known Woods Bagot architectural company (as well as the Residences at the Hard Rock Hotel Davos) to reflect the latest trends in Swiss style with a Hard Rock twist GMT+1 is not just a bar but an endless source of new and interesting cuisine creations. In this Michelin starred restaurant you will experience a once in a lifetime fine dining of four to seven courses, created by the skills and creativity of a Michelin star awarded chef Armin Amrein. The menu changes every three weeks, but all the dishes are created using the finest local ingredients. As of 2018, this is the only Davos restaurant with a Michelin star, so take your chance to try the otherworldy dishes of Armin Amrein. This sleek restaurant offers a modern take on traditional Swiss cuisine. Under the guidance of chef Matthias Brust, this gourmet paradise was included in the Michelin guide for using fresh local ingredients and capably preparing them. Even though it’s not on the Michelin plate (yet), Schneider’s offers a great variety of specialities. Whether it’s a Swiss fondue, an Italian pizza or some pastries that you want, be sure that you will get the tastiest food possible. Another Michelin and Gault Millau recognised name is actually a hotel that hosts a few notable restaurants in different locations, such as Gourmet Stübli, Panorama Restaurant and Chesa Seehof Restaurant itself. The atmosphere of the latter is very warm and gästhaus-like, with a nice view from an elegant sunny terrace. Panorama Restaurant lives up to the name with stunning views of the Dischma Valley. Make sure to check out the seafood here! Gourmet Stübli is a place which offers a la carte dining. Although a bit on the smaller side, the restaurant is very cosy and the staff is helpful and friendly. The ingredients list might not sound exciting, but the execution is very skilful. Although this art deco Swiss house looks like any other restaurant in Davos, Bistro Gentiana is a must visit, especially if you haven’t had the chance to try fondue yet. Bistro Gentiana serves all varieties of fondue, including their delicious signature version with mushrooms, dill, pork and onion. Pöstli is classical oriented and their specialities are fresh seafood and well-prepared meat such as beef, venison and lamb. 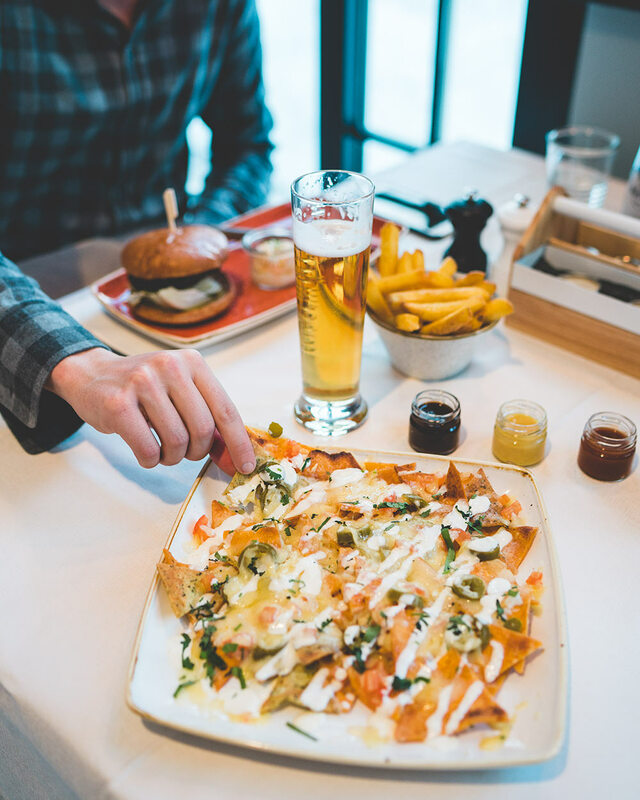 We urge you to try the meat – it is so good in this Michelin plate restaurant that one rarely stops after just one serving. Unlike most of the local restaurants which carry regional food, this elegant restaurant offers Chinese cuisine and the food here is off the charts. It is also Michelin recognised for skilful cooking that you can enjoy for under €40.